Where's the best place to buy contact lenses? With so many choices, how can you decide where to buy contact lenses? Second, focus on value, not just price. With any type of purchase, most people who are "looking for the best price" really are looking for the best overall value. This is especially important when purchasing contact lenses, where a combination of products and professional services is involved. Check shipping and handling rates before ordering, whether you purchase online, at an optical store or from your eye care practitioner. Sometimes the charges are significant; sometimes there's no charge at all. Availability. The best price won't mean much if the product is out of stock, and you need it now. Bundled products and services. Sometimes you can find some nice deals when you purchase replacement contact lenses at the time of your routine eye exam. If you are a first-time wearer, bear in mind that contact lenses can be purchased from a variety of sources, but only after you've been evaluated and fitted by an eye care practitioner (ECP). If you already wear lenses, you'll need a copy of your contact lens prescription from your ECP. Next, follow these steps when choosing where to buy contact lenses. The prices from your insurance plan's seller may or may not be better than what you can find elsewhere. Consider this as one option as you shop around for where to buy contact lenses. Your eye doctor. Pricing of contact lenses from ECPs varies widely. Many people assume that lenses from an optometrist or ophthalmologist will be more expensive than contacts from other sources. But some eye doctors offer contacts at competitive prices, especially if you purchase a year's supply of lenses at one time. If you purchase contact lenses that arrive damaged, does your source have a good return policy? Check before you decide where to buy! Easy exchanges. If your new contacts don't feel right or arrive torn or damaged, you can exchange them immediately. 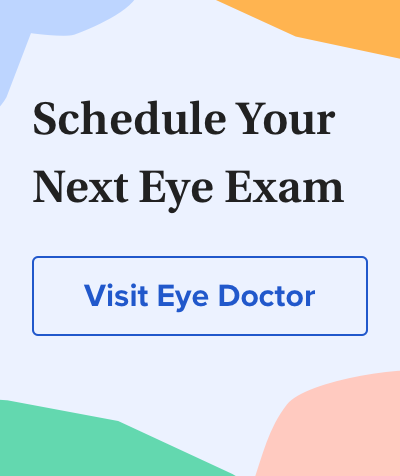 Also, your eye doctor and his or her staff can answer any contact lens-related questions you might have when you pick up your lenses, and they can advise you when it's time for your next eye exam to renew your contact lens prescription. If you have a common prescription, already have a valid Rx and need more contact lenses immediately, such a location may be a good option because they may be able to sell you lenses with no waiting if they have your brand, size and lens power in stock. These sellers also benefit from volume buying and generally offer competitive prices. Some people also appreciate the "trust factor" of an in-person transaction, as opposed to purchasing contact lenses online. And these locations generally are open evenings and weekends. Online retailers. Buying online offers 24/7 convenience. Websites make it easy to compare prices; and contact lenses offered online are generally competitively priced. A disadvantage is that if you need lenses today, you won't get them; and if you need them tomorrow, you might need to pay extra shipping charges. As with anything sold online, there can be big differences between online contact lens sellers: They range from well-established, publicly-traded corporations to basement operations. If you decide that buying online is right for you, read our guide to buying contact lenses online for tips on choosing a seller and getting the best value. Don't assume you'll find a significantly better price on the Internet than you will at an optical chain store or from an independent eye care practitioner. Also, don't assume that any seller who offers one particular lens for less will be cheaper for all lens brands and types. And remember that pricing can change often, particularly on the Internet. Ask about replacement lens prices at your eye doctor's office when you have your examination, or during a follow-up visit when you obtain your contact lens prescription. For each of the above steps, be sure to ask if any rebates are available. Also note that when we surveyed stores by phone, we were given different prices and/or rebate information by different store locations of the same retailer. We don't know if prices and rebates varied by location or if some store employees were misinformed. Either way, it pays to ask questions and double-check the information when you call. You'll definitely want to ask about price-matching. For example, one store we called offered to match Costco's price as long as you could prove you had a Costco card. Also, you might consider asking outlets if they will match advertised prices or specials from a competitor. Also, you may have to order larger quantities (often a year's supply) to qualify for rebates. Be sure to factor in the rebates offered by each vendor to make sure you are getting the best price for your lenses. Even though the "per box" price may be higher from a given source, when you factor in rebates, this supplier may offer the best value. By law, contact lens retailers must sell you the exact lens you have been prescribed — with no switching of brands or lens specifications. But there is one exception: Some lens manufacturers sell a particular lens under several brand names. For example, they may create private-label brands for large eye care practices or optical chains. If your prescription calls for a private-label lens, it's legal to buy that same lens packaged with its alternate brand name. Some mail-order sellers offer guides to help determine the national brand name of a private-label lens. To get the most value from your purchase, you'll need to think about what best meets your needs, and do some price-comparison shopping. No matter where you buy your lenses, be sure to have your eyes checked on a regular basis. With smart shopping and proper eye care, your contact lens-wearing experience can be both economical and healthful.